Eclipse Shutters have more applications than just windows! Depending on the hinge or track system used, shutters can be used on windows, closets and even to separate living spaces. 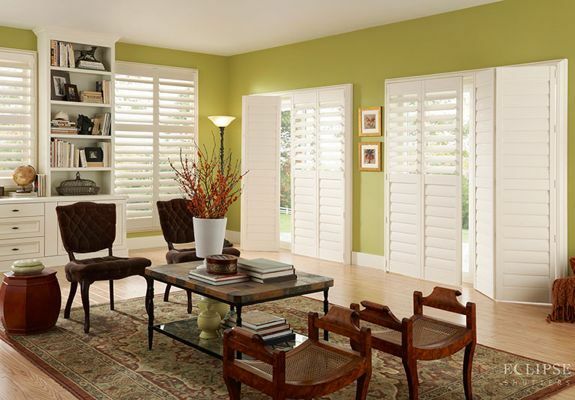 Adding Eclipse shutters to any room instantly adds a touch of class, and enhances the custom look of your home. The bi-fold shutter track system is commonly used for patio doors and closet doors, though can also be an option for large windows since it allows the shutters to slide and fold open. Bi-folding shutter systems are designed to accommodate window and door openings from 24" to 192" wide and 20" to 120" high. 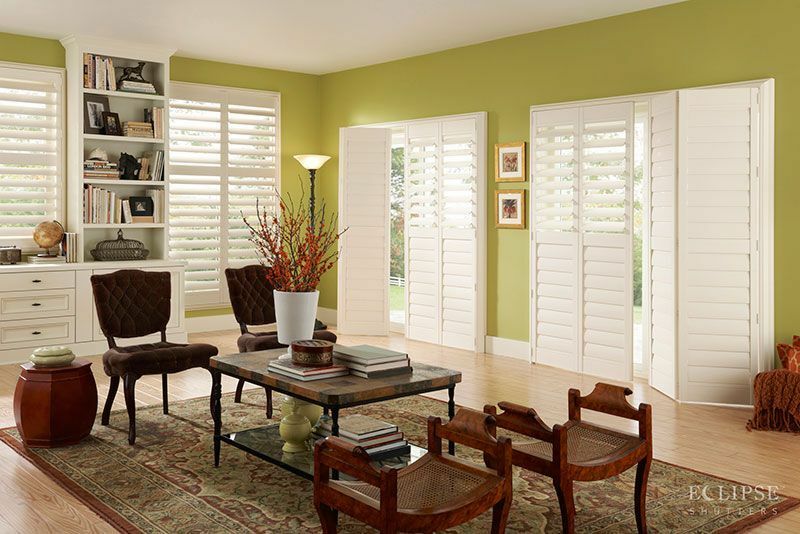 If you're interested in using shutters as a room divider, or to separate living spaces, the by-pass shutter track system will fit your needs. 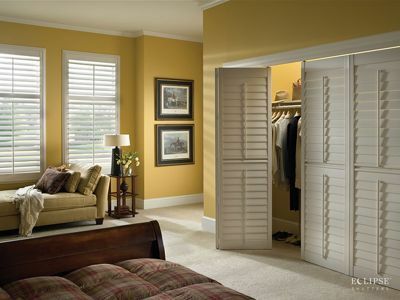 This system allows shutter panels to slide from left and right. By-pass shutter systems from Eclipse Shutters also accommodate window and door openings from 24" to 192" wide and 20" to 120" high. Did you know? Both the bi-fold and by-pass track systems have a deluxe divider rail that acts as a built-in handle for opening and closing the shutters.